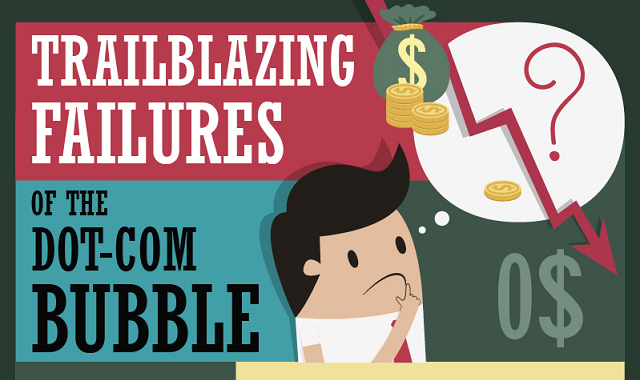 Trailblazing Failures of the Dot-Com Bubble #infographic ~ Visualistan '+g+"
You’ve probably heard of the term “economic bubble.” One occurs when a part of the economy grows very fast and then abruptly crashes. Most commonly, we think of housing bubbles like the US housing bubble that burst at the beginning of 2007. But bubbles can happen to anything that’s bought and sold. In fact, one of the most famous economic bubbles was with tulip bulbs in the Netherlands during the first half of the 17th century. Yes, tulip bulbs: the things that grow into flowers.